GenreOnline.net: Person of Interest: The Complete Fourth Season - One of television’s most intriguing programs is set for release on Blu-ray and DVD! Person of Interest: The Complete Fourth Season - One of television’s most intriguing programs is set for release on Blu-ray and DVD! BURBANK, CA (June 12, 2015) – The fourth season of one of television’s most intriguing programs, Person of Interest, is set for release on Blu-rayTM and DVD by Warner Bros. Home Entertainment (WBHE) on August 11, 2015. The season is also currently available for download in Digital HD. Person of Interest: The Complete Fourth Season will feature all 22 episodes from season four, plus two new featurettes, a gag reel, deleted scenes and much more. 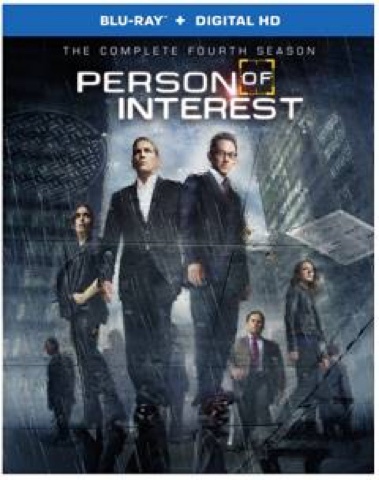 Person of Interest: The Complete Fourth Season will be sold on Blu-ray with UltraVioletTMDigital HD, which retails for $54.97 SRP and on standard DVD, which retails for $49.99 SRP. · Music of Interest – Step inside the studio of Composer Ramin Djawadi for an intimate look at his process along with Show-Runners Jonathan Nolan and Greg Plageman as they discuss scoring sequences and key elements of music themes in Person of Interest. · Going Underground with Root and Finch – Michael Emerson and Amy Acker give us a one on one tour through the newly created Subway Headquarters with the Production Designer, Rick Butler. · Person of Interest 2014 Comic-Con Panel – Executive Producers Jonathan Nolan (The Dark Knight) and Greg Plageman (Cold Case) are joined by the series’ stars for a special Q&A at the 2014 San Diego Comic-Con.